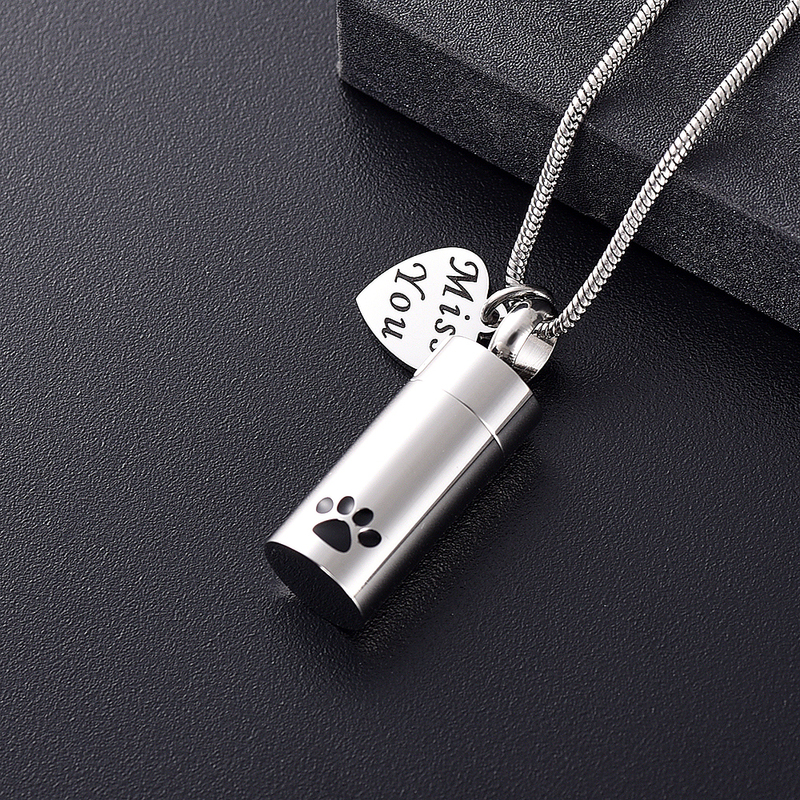 This Memorial Urn Necklace is a very powerful and special way to honor your dearly departed, beloved pet. Like memories, it is made to last forever. Designed to bring comfort and courage during difficult moments and day-to-day life struggles. 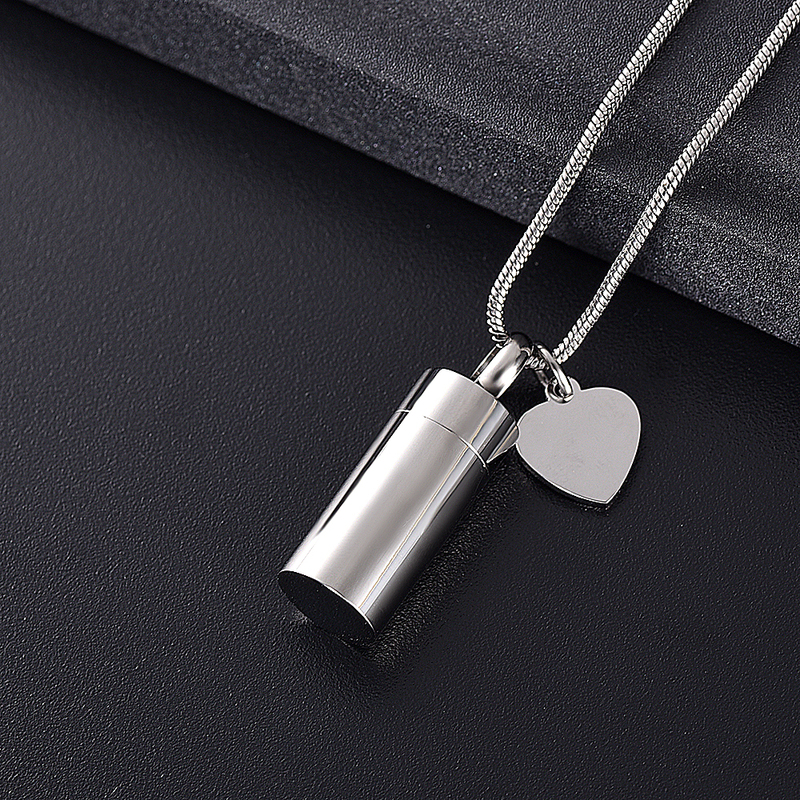 The elegant pendant is 20mm in diameter. Suspended by an 18" snake chain that is as durable as it is lovely. This piece is of polished stainless steel and will not rust, fade, tarnish or stain. The meticulous workmanship process makes it ideal for safely and securely holding ashes, locks of fur, or dried flowers. A tiny drop of super glue on the threads will assure its permanence. Stylish but not trendy, yours to cherish for decades to come. 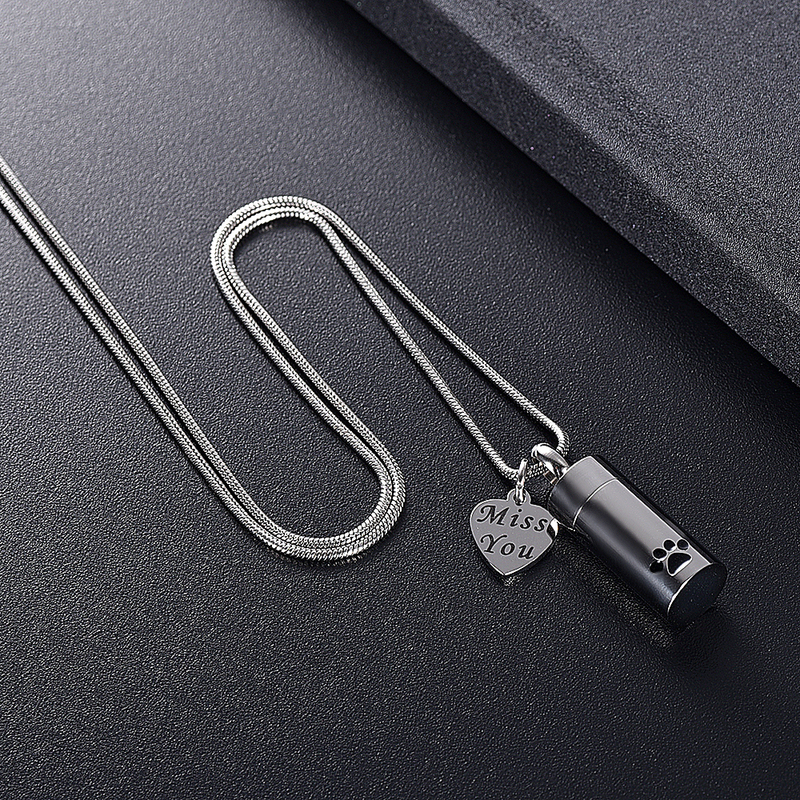 This magnificent piece can also make a heartfelt and thoughtful gift for someone close who has, unfortunately, lost a loved one. And though their soul has crossed the Rainbow Bridge, the memories remain forever in our hearts. These custom pieces are in limited supply and are produced with the utmost reverence and respect. Larger than expected but person for whom intended wont mind that. 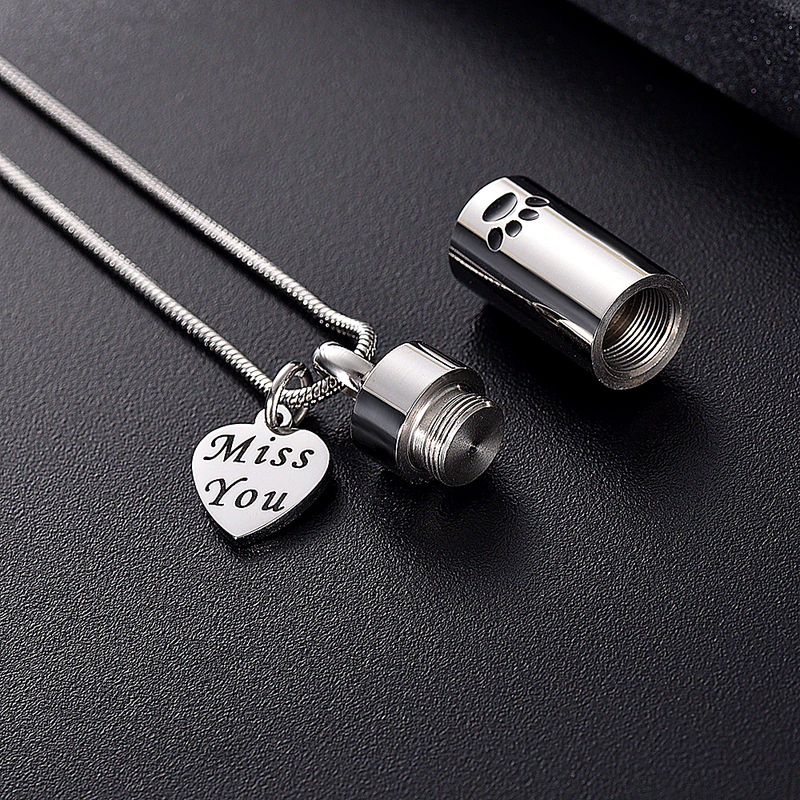 Lovely remembrance item of a well loved companion.